York Orthodontics - Thornhill Village Orthodontist / Do I Need Braces? Braces aren’t just for young people anymore. It’s becoming more likely to see braces on people who are past their teenage years, or already actively working on their careers. This just makes sense since people want to do what they can so that they’ll have a great smile. Now, when it comes to figuring out whether braces are a good idea for you or your child, there are a number of questions to ask yourself. Some of these apply mostly to kids, while others apply even to adults. When it comes to kids, the best way to proceed is by making a trip to your dentist. The idea here is that your dentist can conduct an examination of your child’s teeth and jaw. He or she can ask you questions about the recent history of your child’s teeth, and your kid’s experience with chewing and eating. And your dentist can give you customized and tailored advice, based also on his or her experience with other patients. If you’d like to consider braces for your kid, along with your dentist, make sure to visit his or her clinic early enough. One suggested cut off is the age of seven years. Make sure to visit your dentist to ask about braces before then. 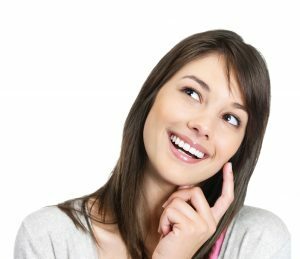 When it comes to questions to consider when thinking about braces, here are a number of the key ones. Do you or your child have issues when it comes to chewing or biting? This can come about because the alignment or placement of your teeth are not ideal. It’s not as much of an issue if misalignment is slight. But if it’s already causing problems when it comes to eating food or biting off something, then it may be time to correct the problem. Do your teeth look crowded in certain places, or do there appear to be teeth which aren’t where they’re supposed to be? The crowding of teeth is a problem because many people have teeth which don’t grow with the ideal spacing. Some areas of the mouth have too many teeth all bunched together, and this can lead to pain and even further misalignment later, if the teeth continue to grow in ways which push against each other. Braces can provide relief by giving teeth the space that they need, so that as they push out, they won’t be causing nearby teeth to misalign or end up crooked. Another question to consider is whether the placement of your teeth causes problems when you bite. More specifically, does your biting action cause you to also bite or scrape against your inner cheek or other parts of your mouth? This can be a concern when your teeth are not aligned properly, and parts of your teeth come into contact with your inner mouth, in a way that they aren’t supposed to. This should ideally be corrected by braces because over time, that continued scraping or biting against your inner cheek could lead to other mouth problems. Ideally, you will want to have teeth which only ever end up biting your food. So if this is a concern, then there’s a good chance that you’re going to want to see your dentist for braces.